Christmas, the peak selling season, brings along shoppers in droves. In the UK, 40% of Christmas shopping was done online. According to IMRG e-Retail Sales Index, GBP 21.6bn was spent on ecommerce websites eight weeks before Christmas. Thus, if you want to see a true increase in your turnover, there doesn’t seem to be a better time than Christmas! Find out how. According to Adobe, 2017 holiday ecommerce revenue climbed to record-breaking $108.2 billion (an increase of 14.7% year over year). Adobe’s numbers are based on 80% of online transactions for the largest 100 online US retailers. Booming holiday ecommerce results are beneficial for online merchants, selling on both domestic and international markets, as well as for the economy. Additionally, mobile holiday activity continues to rise. According to NetElixir, mobile visits jumped across most retail categories. Apparel saw the largest growth (32%). All other categories saw single-digit increases for mobile visits, too. According to Adobe, mobile accounted for 33.1% of the total $108.2 billion generated, bringing in $35.9 billion. Salesforce also noted a surge in holiday mobile purchases. According to Salesforce, 46% of all online orders on Thanksgiving Day 2017 took place on mobile devices. Christmas Day experienced the biggest jump in mobile shopping: 50% of all online orders were made from mobile devices. These data imply that buyers’ use of mobile devices for product browsing and research is on the increase. Some of 2017’s biggest revenue drivers during the holidays were paid search & email campaigns. Adobe reports that organic and paid search brought in the most revenue during the 2017 holiday season. Search drove 44.8% of visits (23%: paid search; 21.3%: organic). Email, in turn, accounted for 20% of online holiday site visits. Digital marketing is growing in effectiveness, leading consumers to the brands and products they are interested to purchase. Amazon experienced its biggest holiday season in 2017 (more than a billion items ordered from small businesses globally). Amazon reported an almost 70% increase in the number of global shoppers using the Amazon app at the holiday season. In one week alone, more than four million people started Prime free trials or began paid memberships. any potential offline marketing undertakings. When planning your strategy, keep in mind what is sold at Christmas. Of course, it is mostly gift items so you can try to predict the bestsellers of the coming holiday season. Some items may be more obvious, such as toys whose sales peak in November. But what if your product doesn’t seem to be too Christmassy? Find out more in our FREE Christmas ebook! Think what and who you can target. You can, for instance, focus on last minute shoppers. Do this by accommodating and devising a communication plan for distressed buyers. How to predict the bestsellers of the coming holiday season? What if your product doesn’t seem to be too Christmassy? Find out more in our FREE Christmas ebook! Bear in mind the following dates: they will help you with planning your Christmas strategy. Note that some dates may vary slightly, depending on the year and weekend distribution. 23rd December: Last posting date for Special and Next Day delivery. Decorate your online shop. Isn’t that what high-street retailers do to attract buyers in a shopping frenzy? In fact, there is a bigger analogy between high street shops investing in Christmas decorations and virtual stores having graphic design at their disposal than we may be aware of. Let your online store be part of the festivities: this will instil positive emotions in many shoppers and make your website livelier. Be creative. 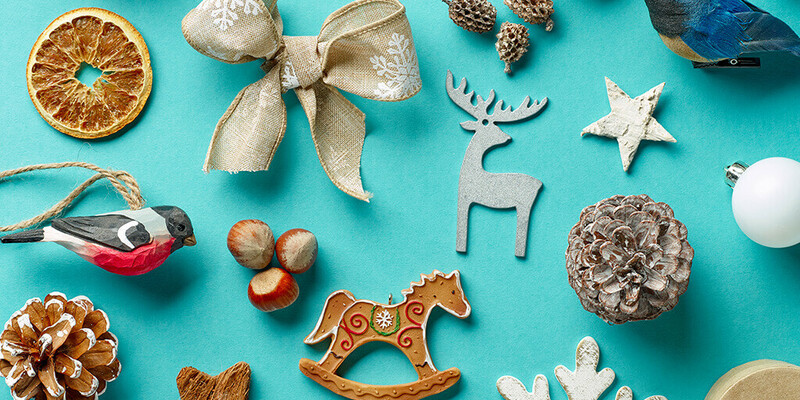 Create interactive Christmas content and use festive colours: gold, silver, green and red. Why not get carried away a bit? For instance, serve your customers daily Christmas facts or prepare an online advent calendar containing the deal of the day. What if not everyone celebrates or likes Christmas sand will find your Christmas moves annoying? Check in our guidebook! It’s crucial to optimise your pages and content to ensure that people find your store when the Christmas shopping craziness arrives. And ideally, you should do this way beforehand. 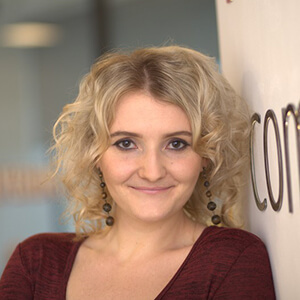 Your content will not get ranked overnight and it will take time for it to appear on search engines. Hence, don’t leave it until December! Fix broken links: it is genuinely offputting for customers if they come across links that don’t work. It makes them think that you don’t really care about your business and clients. Make sure that you use the right keywords, e.g. Christmas gifts for your kids, gift ideas. Utilise keywords for your headings, title tags and meta descriptions of pages, but avoid keyword stuffing. Use keyword variations. Your pages shouldn’t compete with each other and rank for the same keywords in search engines. Thus, keep your pages specific and relevant to the target keyword. For those not celebrating Christmas, think of Christmas alternatives such as Hanukkah. 53% of consumers shopped for Christmas on their mobiles and tablets and the use of mobile devices for shopping purposes is constantly on the rise. So remember to optimise your mobile experience too. Your SEO efforts will pay off so take time to get the job done properly. To reap full benefits, make sure that your SEO strategy is in line with other channels and social media. Let your online store be part of the festivities: this will instil positive emotions in many shoppers and make your website livelier. Be creative. Create interactive Christmas content and use festive colours. Christmas is a social event, also in the world of online sales. Spread the gospel and make the right audience interact with your content and go for your deals and best-sellers. Go social. And go global. Selling your items on foreign marketplaces, if planned wisely, can be the real deal breaker. It may be a given, yet we’d like to re-emphasise the importance of social media in your Christmas strategies. Use social media to have your offers and content liked, shared, tweeted and pinned. If they go viral, you may be very pleased with your income. Don’t forget to enable your website for social buttons. Keep an eye on the engagement of your visitors and customers on social networking sites, especially when it comes to negative feedback. It is essential to respond to such comments in a timely way, taking care of your image and reputation. Finally, blog about Christmas. This is how you give yourself a chance to drive traffic to your webstore, which will help you increase your conversion rates. There are various topics you can write about, sparking your potential buyers’ interest. For example, give them a list of gift ideas. Isn’t this a mind-boggler for many shoppers: what should I get him/her/them for Christmas?! Be the answer. Have the solution and available options ready for your existing and future buyers. Not only can you encourage them to buy your products, but you can also be perceived as a reliable and resourceful retailer. 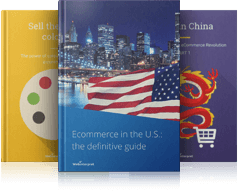 For more information on how to use Facebook to your eCommerce advantage, download our FREE guidebook. A great deal of online sellers are convinced that they will see big Christmas sales figures by trading on their domestic markets only. Granted: there’s a good chance that the numbers will be pretty impressive. Yet they can be much much higher if foreign marketplaces are added to the equation. Consider the fact that many shoppers want to buy unique gifts that are different to what is available locally. A good source of unique, different items are foreign countries. Hence, it may be a good idea for you to localise your Christmas offers on international markets. Offer free delivery, even a single Free Shipping Day. 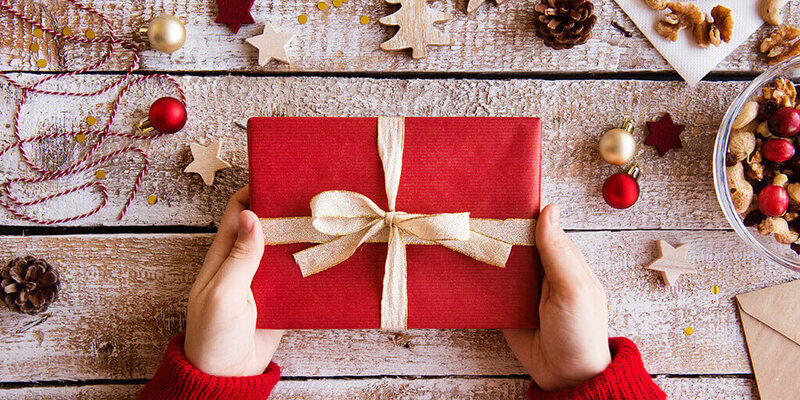 Offer fast delivery on top of the standard delivery option: the thought of Christmas gifts not arriving on time is a source of great distress for many buyers. Plan your stock: your stock levels will fluctuate during the festive season so you should ensure that there’s a backup when you run out of certain items. You can also give your customers an option to sign up for an email alert that will notify them when items are available. Organise and let others know about your sales offer: you have a flash sale or a new bestseller? Put it out there! Start acquiring potential customers a few months before Christmas. 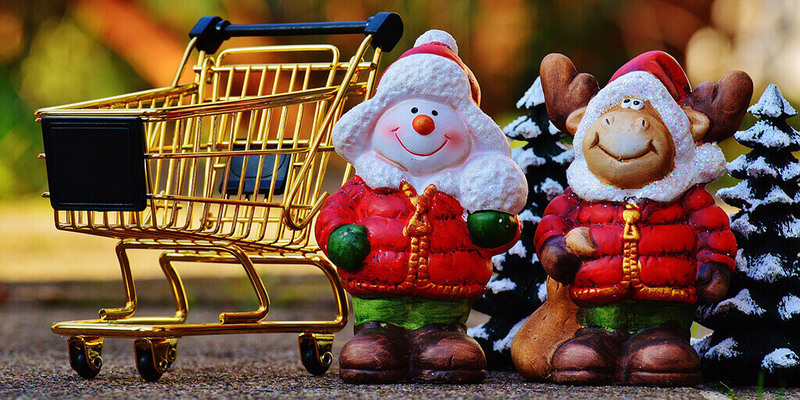 Retarget your Christmas customers in January: especially if you have post-Christmas deals in store for them. Offer vouchers that can be redeemed in the future: many buyers will come back to shop with you again. Use social media channels: to promote your Christmas content and deals. Use results from previous years and collect the current ones: plan for the next Christmas season. Don’t offer discounts too early: savvy customers know that they should wait for final price cuts. Thus, leave yourself some time in which to get the full price for your items. … that is when the final Christmas shopping time comes. Shoppers can get fiercely competitive then. This is a good time for you to make use of all the contacts you have collected earlier in the year: existing and former customers, leads and potential buyers. It’s highly probable that your special deals or Christmas offerings such as gift wrapping will meet with very high interest. … it’s time again for sales: on Christmas and Boxing Day and later in January. 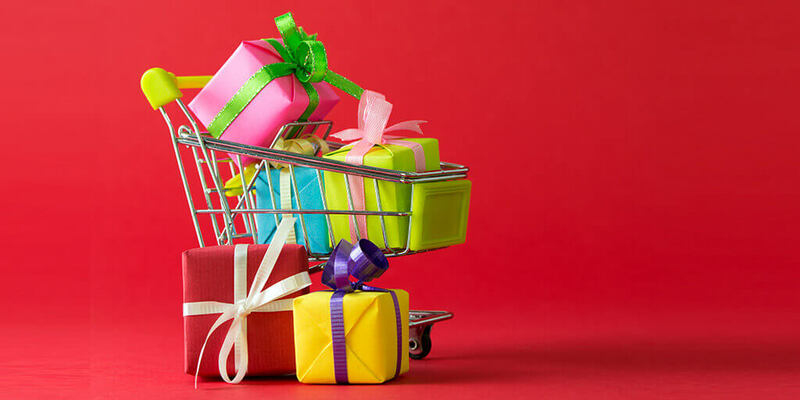 Remember to nurture your Christmas shoppers and build relationships with them. You can offer them discount codes and membership plans, thus increasing the chances of winning loyal customers. Your Christmas sales and success extend far beyond December! 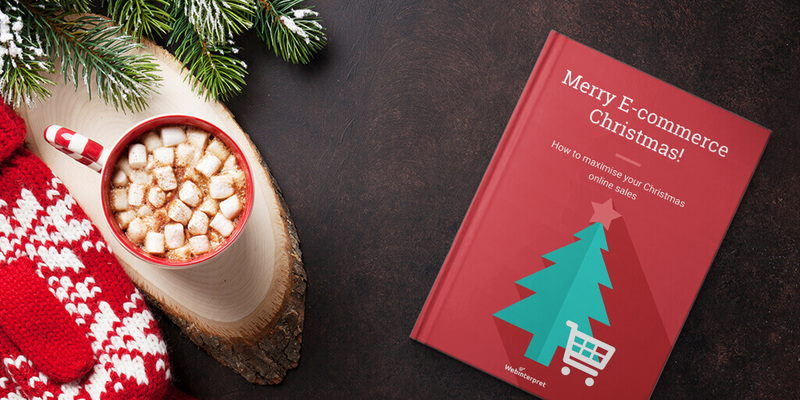 Nurture your Christmas shoppers and build relationships with them. You can offer them discount codes and membership plans, thus increasing the chances of winning loyal customers. Your Christmas sales and success extend far beyond December. 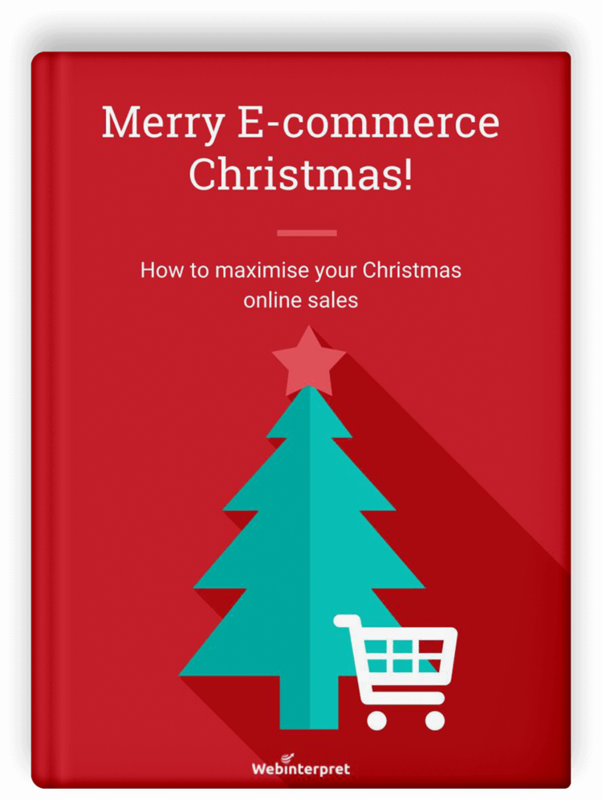 Christmas is a perfect time to give your online shop a real boost in sales, not only on your domestic but also on international markets. To achieve that, you need to go a bit Christmassy and prepare your shop for the festive season. If you optimize your shop properly and add a little decoration, your conversion rates can increase immensely around Christmas time. 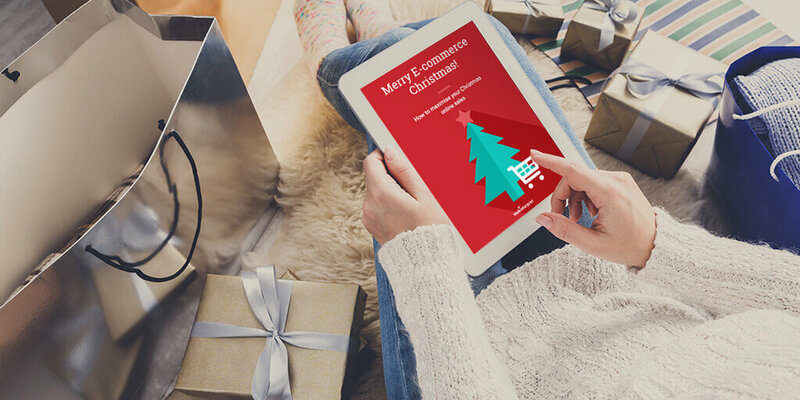 There is a lot of competition but if you take the time to prepare your online store for the festivities, you can stay well ahead of other online stores. And finally: if you haven’t started your Christmas countdown yet, it may be a good idea to do so!